I love the multi-tool my father-in-law gave me that I carry with me always. If you don't have one then this handy dandy fashion accessory might do in a pinch. 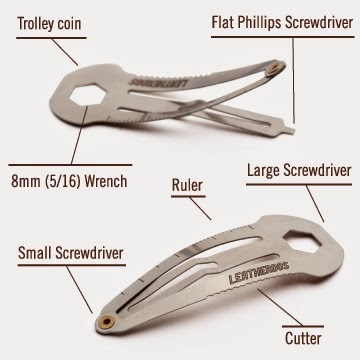 It's a trolley coin, ruler, serrated cutter, wrench and multiple screwdrivers in one combined into a tiny hairclip! Pretty neat huh? Though I must admit I am a little concerned about the serrated edge snagging my hair. 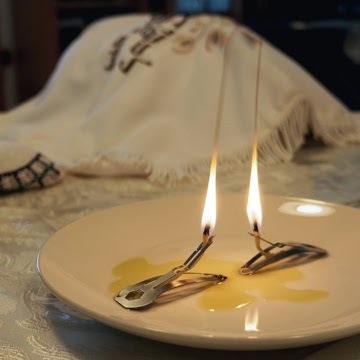 It can even hold a wick! 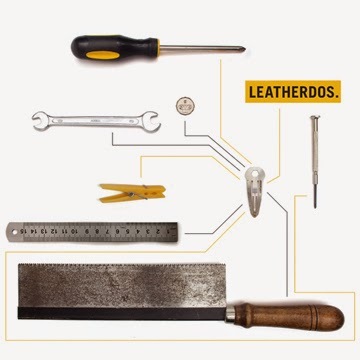 You can get the Leatherdos - Mini tools clip from Money Business website for $9.